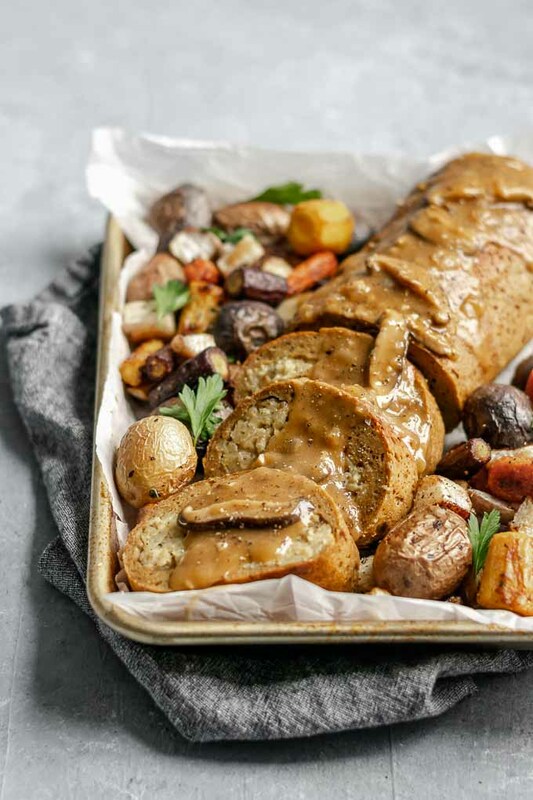 This hearty, homemade seitan roast stuffed with chestnut white wine risotto makes the perfect holiday feast centerpiece and is sure to impress your guests! Barley risotto is like regular arborio rice risotto’s chewy, hearty cousin. It’s still ultra creamy, it’s decadent tasting, and guess what–it’s much simpler to make! 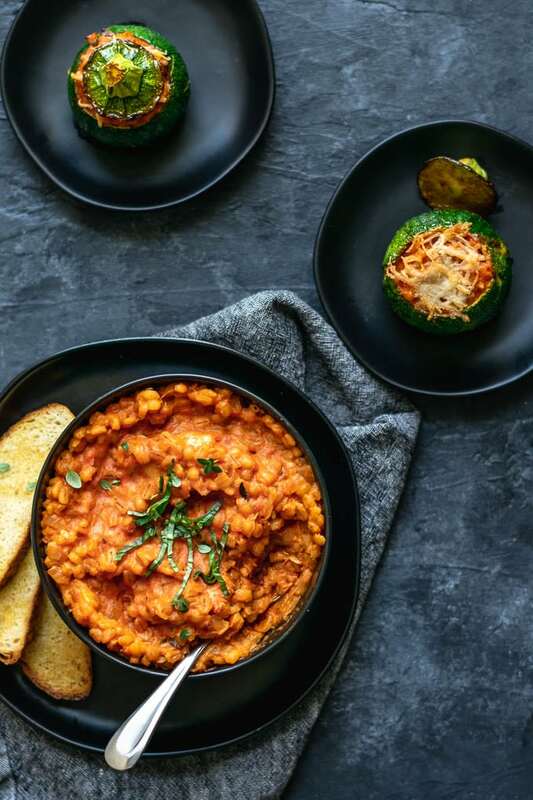 You’ve got to try this creamy vegan barley risotto stuffed zucchini. You heard me, stuffed zucchini! Happy New Year everyone! I’m a little late to the draw here, as we’re officially more than halfway through the month, but I spent the first part of my new year soaking up the sun in Hawaii and it was glorious. I was so not ready to come back home to cold weather, though I did miss our pets! 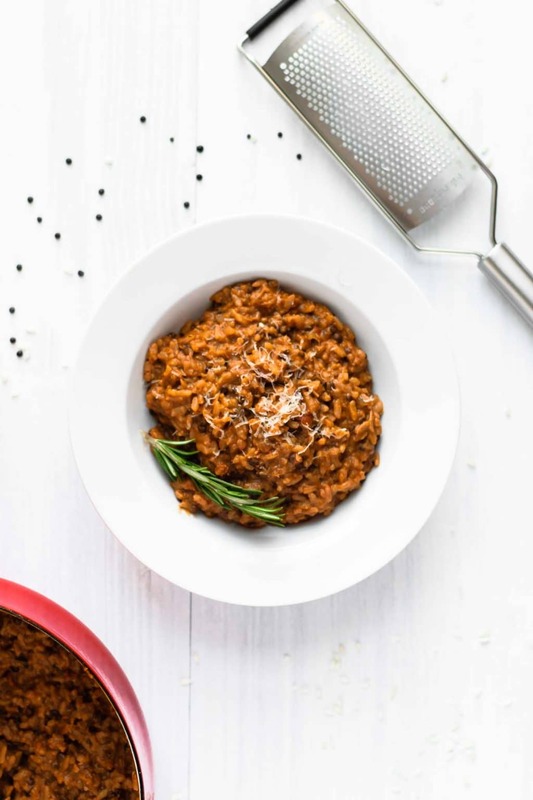 I also owe you a little bit of an apology, as I had meant to share this recipe for vegan risotto bolognese with you before the new year and close on the heels of my mouth watering black lentil bolognese, but it was so delicious I went into a holiday-no work allowed-food coma. Oh well, if you already made a batch of bolognese you’re probably missing it by about now (I know I am!) and ready for round 2 with this delectable risotto!